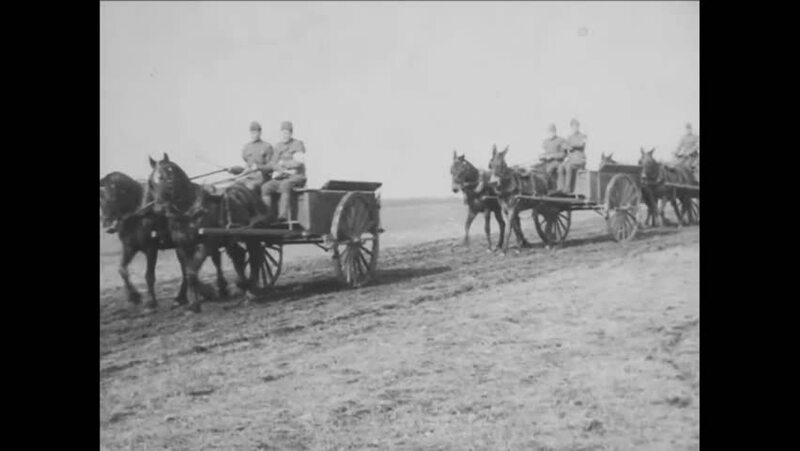 CIRCA 1919 - 6th Division artillery horses pull field guns into position for a demonstration. hd00:39CIRCA 1934 - Farmers in the Tennessee Valley must abandon their farms. hd00:49CIRCA 1910s - French infantry rushes a Belgian town to prevent against a German attack, and soldiers wash in a fountain and play the piano.